Engage, retain, and increase lifetime value with Optimizely Full Stack's mobile a/b testing and rollouts. Experiment with onboarding, feature discovery, and re-engagement strategies to improve engagement and retention. Optimizely Full Stack is more than just mobile experimentation. Go beyond your mobile client and deep into your backend. Test pricing, search algorithms, and more. Reduce the risk of launching new features with phased rollouts. Live variables and simple traffic allocation enable you to test new features and quickly remove or improve the ones that don’t work. Change your app’s behavior in real time without waiting for App Store or Google Play review. 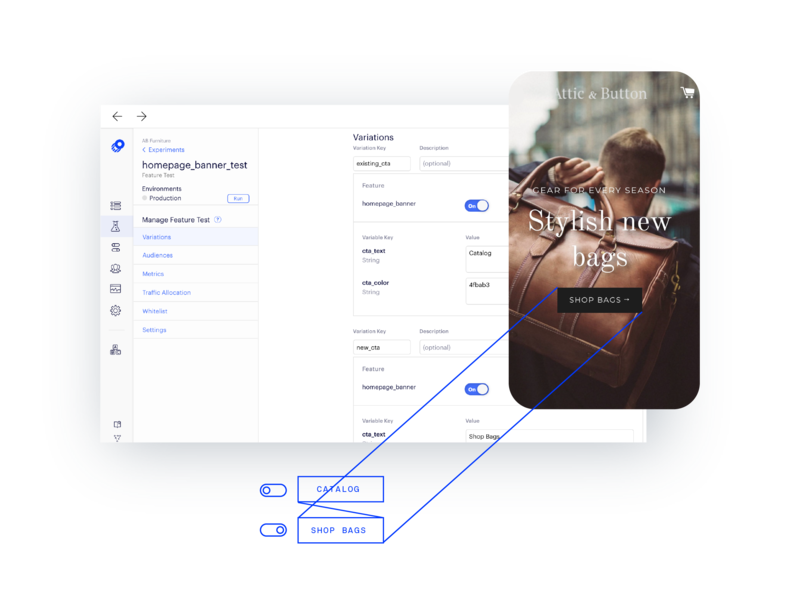 Advanced targeting enables personalized experiences throughout your app. 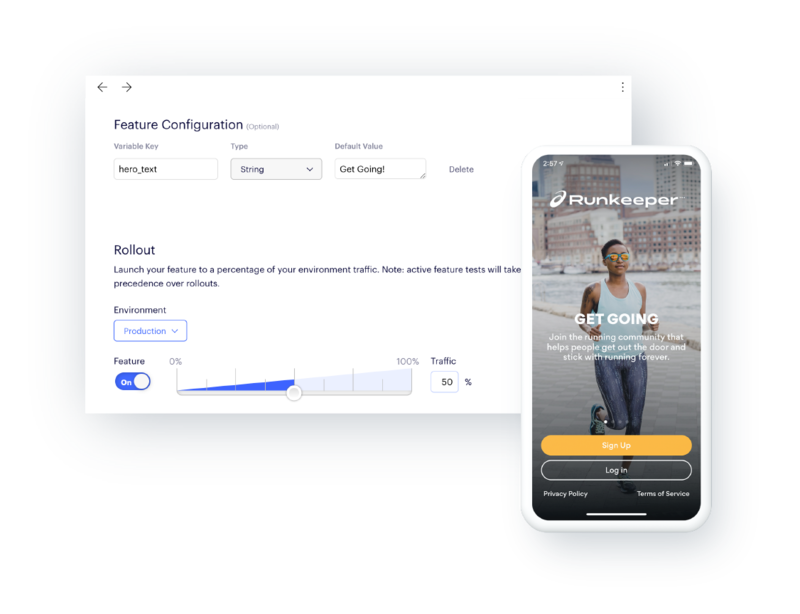 Our mobile SDKs also work seamlessly with all other Optimizely SDKs, enabling you to experiment and personalize across channels and devices, or at any level of your tech stack. Experiment in real time with minimal performance impact. Our lightweight, open source SDKs make no network requests, and enable instant updates to your app--no App Store or Google Play Review required. Our Swift, Objective-C, and Android SDKs are transparent, so you know exactly how they work. Roles and permissions, 2-factor authentication, and single sign-on (SSO). At Trunk Club, mobile is at the forefront of their business. It’s where new customers first tend to interact with the brand and existing customers browse new collections. Because mobile users were often exploring rather than buying, the Trunk Club team experimented with different app mechanics to help separate the window shoppers from serious buyers. Learn how Trunk Club increased lead quality and stylist efficiency by optimizing mobile app onboarding.